Say what you want about our crazy Toronto Mayor, Rob Ford. But despite getting drunk in public, smoking crack and making Hogtown a late night television laughing stock, Ford has cut a lot of the fat at city hall, fought against tax increases and made sure our garbage is picked up on time. One thing the mayor hasn't been able to do, however, is get the city-run outdoor rinks to allow goalies to face some pucks. Believe it or not, goalies are banned from playing shinny in Toronto; probably because some guy got nailed in the coconut once and the city is afraid of getting sued. What a modern world we live in. Back in the day, we used to keep a couple pairs of goalie pads in the shack at our local outdoor rink. We'd take turns slapping them on, not even wearing a mask. "Keep it down, boys!," was the only message delivered as we dropped the puck for another raging pick-up game. Forget about kids policing their own games. Instead parents truck their little people to the outdoor rinks, overload them with a bunch of high-tech equipment, while orange-vested rink cops enforce a long list of shinny "do's and don't's". As I mentioned, one of the "don't's" is giving kids a chance to experience the thrill of shooting at a goalie; something a lot of youngsters will never get a chance to do if they're not registered in organized hockey. Looking for some extra ice time to get my six-year-old puck-stopper ready for his Tyke play-offs, I showed up at our local outdoor rink unaware of the "No Goalie" crackdown. We stepped on the ice and right away one of those orange vests was on the scene pointing up to the anti-netminding sign posted high above the boards. "You can work with him on the side if you want," orange vest said, "but he's not allowed to go in the net." Is there anything more un-Canadian than not allowing goalies to play shinny? No wonder we have trouble developing goaltenders in our country; although Carey Price didn't look too bad in Sochi, did he? Still, I guarantee Price was allowed to stop pucks growing up on the outdoor rinks of Northern B.C. Price's mom, in fact, was a local politician; a former First Nation Chief. 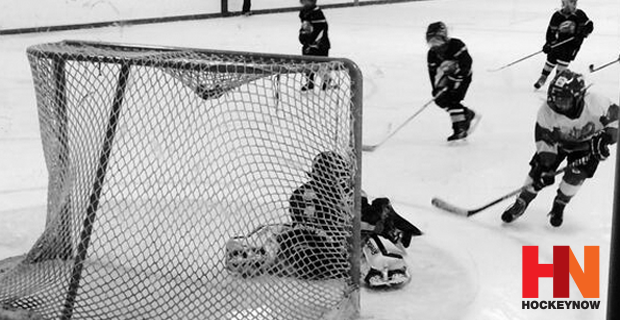 There's no way Mrs. Price would have banned goalies from protecting the cage at shinny games. And unless Rob Ford stands up for the 'tenders of Toronto, he's definitely not getting my vote. Although, to be honest, if I actually did vote for Ford it might be proof that I took too many pucks to the head during my days as a goalie, right?